Review of Hira Singh’s book “Recasting Caste: From the Sacred to the Profane”, Sage, New Delhi, 2014, Rs 795. Joan Robinson, the legendary Cambridge economist, was visiting India after a tour of revolutionary China in the 1950s. In India, she met EMS Namboodiripad, a senior leader of the then united CPI. She asked EMS, despite many similarities between the two countries why there was a revolution in China, and why it did not happen in India, what was the problem? “Caste” was the answer given by Namboodiripad. Today, the India political left is divided, so one need not toe the political line of EMS Namboodiripad or his later party CPI-M. This, however, is not to deny the existence of caste or caste atrocities in India. Every day one gets the gory news of medieval barbarism inflicted on the Dalits of the country. Therefore, understanding the caste system is a serious task for anyone who is interested in the revolutionary transformation of Indian society. For communists, it is an urgent task, because the annihilation of caste is intrinsically related with the abolition of class rule in India. Orientalists, Indologists and colonial administrators had tried to understand the caste system in India each according to their own ideological prejudices, predominantly from the colonizers’ mindset of “the whiteman’s burden” and the “exotic east”. Risley, the Census Commissioner of British India, was one of the early pioneers to study caste. Later, with the establishment of the Bombay School, eminent sociologist G.S. Ghurye wrote “Caste and Race in India”. The book has achieved iconic status with the 19th reprint done by Popular Prakashan, Bombay in the year 1911. MN Srinivas, a well-known scholar on caste, left his teaching job at Oxford in the year 1927 to start the first sociology department at Baroda. 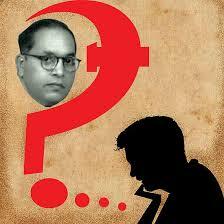 After Independence, caste has been one of the major preoccupations of Indian sociologists. There is no unitary theory of castes. There is a whole spectrum of perspectives. From the orientalists to the post-colonial, there is a variety of caste theories. Hocart and Quigley give the kingship theory, while Morton Klass calls his method as eclectic anthropology. Marxists and liberals, Gandhians and Dalit intellectuals have also written on caste. So, Marxism and Ambedkarism are only two red and blue colours in the colourful spectrum of caste theories. Apart from differences on the “book view” and “field view”, overall debate on caste within Indian sociology has been pro or against Louis Dumont. For Marxists, the basic debate is between the method of DD Kosambi and Louis Dumont. Division of labour and property regimes have been one of the major ingredients of Kosambi’s method. Ursula Sharma, who also has done her fieldwork in Himachal Pradesh, has done a fairly good mapping of the caste debates within sociology and social anthropology in her book “Caste” published early this century. Within the Marxist tradition, there is this whole debate about “infrastructure” and “superstructure”. Suvira Jaiswal, Uma Chakraborty, Anupama Rao, Sharmila Rege, Susie Tharu et al., have written on the intersection of caste and gender. Hira Singh further says, “One, it used the caste system to critique Marxist interpretation of society and history, the notion of class in particular, at home. It was simultaneously used to argue that India remained stuck at the stage of status opposed to contact, mechanical opposed to organic, lineage opposed to state, despotic opposed to democratic, irrational opposed to rational, static opposed to dynamic and savage opposed to civilized modern West. That was the dominant discourse of modern West in the age of colonialism-imperialism. Dumont extends that, in a reinvigorated form, at a time when colonialism-imperialism was in the decline, but the struggle between Marxism and mainstream sociology in the West (and the East) had acquired new vitality in the background of the ideological divide of the Cold War. Theoretical-methodological framework used by mainstream sociology is a hindrance to produce a theory of caste. To develop a theory of caste, we need an alternative approach that enables us to see the intersection of economic, political and ideological in the origin of the caste system, its reproduction, continuity and change in historical perspective”(pp 61-62). This is an extremely important book in the caste debate in the neoliberal era. In “Recasting Caste”, Hira Singh makes an excellent critique of the Weberian/Dumontian/subaltern/post-colonial constructs of caste. The publication of this book is an important contribution to Marxist theory of caste and caste politics. This book dispels the myth created by the so-called new social movements, NGOs and many Dalit groups, that Marxists do not understand caste. Partly this may sound true because, except for Marxist historians and rare Marxist sociologists like AR Desai, very few Marxists have written on caste. Only Dr Anand Teltumbde consistently writes about the inter-relationship between caste and class. Rethinking the caste and class inter-connection is extremely important at a time when after two decades of neoliberalization and state repression to facilitate primitive accumulation. A section of the coopted mainstream Dalit intellectuals propagate the idea of Dalit liberation within capitalism, they push extremely dangerous (and in long-term really very anti-Dalit) concept of “Dalit capitalism”. Chandra Bhan Prasad, one of the foremost ideologues of the idea of “Dalit capitalism”, had given an interview to Sunday Times of India last year. In that interview, he said that capitalism provides the space for a Dalit to purchase a Mercedes and hire a Brahmin driver. This is a very dubious and dangerous proposition. Ambedkar’s central aim was the equality between castes, not the creation of a new and exploitative hierarchy of social relations. The owner of the Mercedes and the driver share a different power equation; one is an employer and the other is an employee. This goes against the grain of both Marxist and Ambedkarite views. Dalit capitalism cannot solve the central contradiction of capital and labour under capitalism. The absurd logic of Dalit capitalism also means that a Dalit murderer can replace a Brahmin murderer. The moral of the story is that, murderers will always be murderers. The land question was totally out of the Mandalised caste politics. Class was completely out from the academic works on caste. Hira Singh’s book is extremely important in an era where academic discourses are getting more and more detached from the issues connected with real lives of the vast multitudes. Exploitation, feudalism, capitalism, inequality, etc., are out of fashionable discourses in academia. With the discrediting of socialism as an alternative to capitalism, “identity politics” and “social justice” within capitalism is the solution offered. If one has a serious look at the state of social science in India, one could see with the rise of a plethora of post-office theories in the Anglo-American academy and their comprador followers in the third world academia, not only the social science discourses became opaque, day by day it is becoming anti-working class and offcourse, totally irrelevant to the social realities of India. Hira Singh’s book is a serious Marxist intervention in understanding the contemporary issues of caste and class conflicts and helps us to conceptualize the ways to understand the structural relations between caste, class and capitalism. The importance of Hira Singh’s book is not that it brings in political economy to study castes, but locates caste in political economy. According to Hira Singh, this book is an invitation to a debate on caste such that one can understand the contemporary dynamics of caste conflicts and delineate a strategy for a classless and casteless society. He says in the concluding paragraph of the Preface in “Recasting Caste”, “In my writings on caste spread over several years, I have suggested that there are serious issues – theoretical and methodological – in the study of caste, which call for debate”. When it comes to caste studies, there are there two solitudes: (1) mainstream sociology, and (2) Marxism. The former shuns history and studies caste mainly at the level of ideas in isolation from material conditions. Marxists, on the other hand have, by and large, stayed away from studying caste. According to sociologists, Marxists do not study caste because they consider it as “superstructure” determined by “infrastructure”; hence, secondary and less important. That is not even vulgar Marxism, rather vulgarization of Marxism. The question whether caste is infrastructure or superstructure is redundant. It is both, infrastructure and superstructure intersect in caste. However, in their ideological battle against Marxism, sociologists have erred on the other side, focusing on the superstructure to the exclusion of the infrastructure. This is most clearly the case with Louis Dumont. Critics of Louis Dumont from within mainstream sociology have not adequately addressed this critical issue. The other serious problem in sociological studies of caste is the neglect of history. Finally, mainstream sociology has dubbed Marxism as ideology, but it does not recognize its own ideological orientation and how that has shaped its perspective on caste. Purity and pollution has been the dominant model defining the caste hierarchy in India. Endless debates have been done by sociologists on this issue, but almost everyone has mystified it. The signal contribution of Hira Singh’s book has been to demystify the whole discourse on purity and pollution in understanding the caste system. Commensality and endogamy are the defining features of the caste “life world”. Cooking and dining are important features of inter and intra caste inter subjectivities, food plays an important role in the caste discourse. Hira Singh’s book unravels the mystery of food production and consumption debate in the caste discourse. He raises the pertinent questions about food, which non-Marxist sociologists deliberately ignore. His book points to the politics of food production and consumption debate in the caste discourse. Hira Singh raises the issue about who produces the food grains and who appropriates it and the centrality of labour process and the production relations in food grain production. Hence, caste cannot be understood without explaining the class exploitation, land ownership and different hierarchies created by different property regimes. Hira Singh’s article in the Journal of Peasant Studies (JPS), “The Real World of Caste in India” (2008) should be read with his book “Recasting Caste”. In this article, Hira Singh points to the inherent limitations of liberal ideology to solve the caste question in India. He raises the basic ontological issue of the “wretched of the earth” in his search for liberation. Taking a cue from Marx, Engels and Lenin that working class “in itself” cannot liberate itself without becoming “class for itself”. If one looks at the politics of social justice, Dalits and OBCs as “caste in itself” have become “caste for itself” in their militant assertion in the electoral arena and to some extent in is the real “life world”. But this assertion has not removed the class exploitation of a vast majority of Dalits, OBCs, Adivasis and Pasmanda Muslims as the working class they are ruthlessly exploited and humiliated by the neoliberal regime in India. Hence, to the complete the trajectory of emancipation “caste for itself” has to transform itself to “class for itself”, otherwise the project of liberation of oppressed identities in India will be incomplete and will be co-opted by the ruling classes by creating a greedy self-centered middle class from the marginal groups. Since only interpreting the caste system is not enough, our aim is to annihilate them, Hira Singh draws our attention to the limitations of Dalit liberation within the capitalist electoral system, he endorses Dipankar Gupta’s views on the limitations of Dalit political parties and caste mobilization for creating a society without class and casts oppression: “That scheduled castes, historically deprived of access to material resources have been unable to realise their political objectives in this regard is an affirmation of this basic principle at work: the strong and enduring connection between economic and political power in a liberal democratic system. The chances of scheduled caste voters changing the Indian power structure by means of the ballot box is about the same as those of the working class in the liberal democracies of metropolitan capitalist societies: that is to say, negligible. Hence, the centrality of the question: why does the working class keep on electing governments that continue to protect and perpetuate the rule of the capitalist class? The mere fact of voting is designed not to transform the existing socio-economic structure, but rather to perpetuate the rule of the propertied over the non-propertied. As with class so with caste. The inference is not that class is irrelevant in liberal democracies – far from it – but that the political transition from ‘class in itself’ is not just crucial but also difficult to resolve. In much the same way, a ‘caste in itself’ is not necessarily a ‘caste for itself’. The lesson one draws from the above quote is that for the ultimate dream of a society without exploitation in India that if “caste for itself”, i.e., the Dalit and OBC assertion, it has to transform into “class for itself” to transcend capitalism, only then the ultimate project of a society where human beings do not exploit other human beings can be realized. And it is here that the political project of Ambedkarites and the political left converges.